So I am sure you have seen these delightful drink buckets at Target. I am sure there are a 1,001 ways to use these bad boys, but here is how I put them to work. 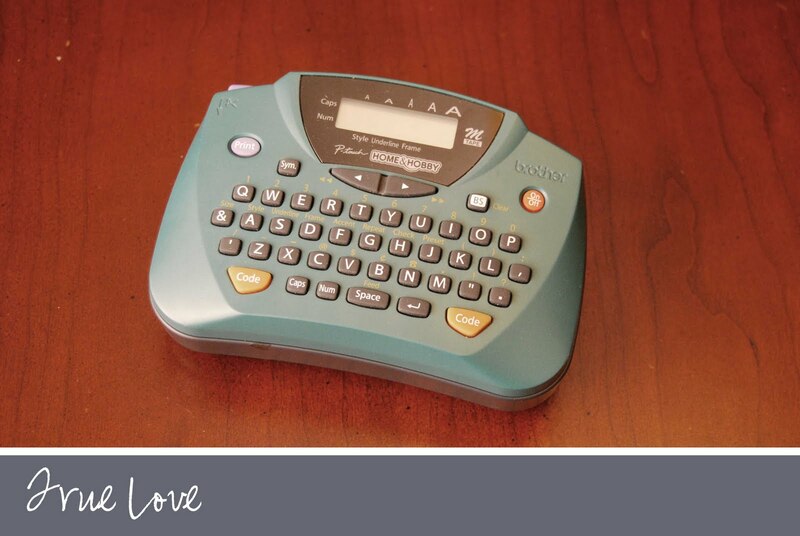 It all starts with a Brother P-touch label maker - this takes a close second to my iphone! I know he is old and there are better, shinier ones I could buy - but he works just great. Here our "Dad Bars" (aka. icky ones), "Mom Bars"(aka Larabars) and "Kids School Snacks" (aka non-refrigerated items that fit nicely in a snack container). 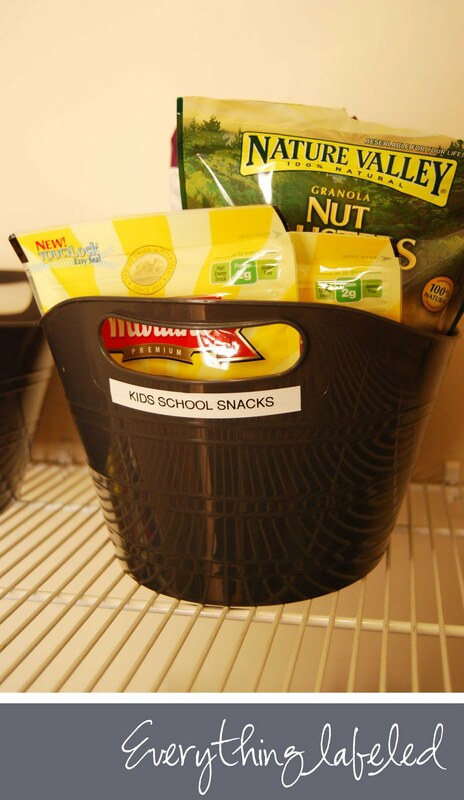 Every bucket is easy for putting things away, and hey quickly finding things in the morning. Plus it keeps the hubby out of my bars and the kiddos snacks! 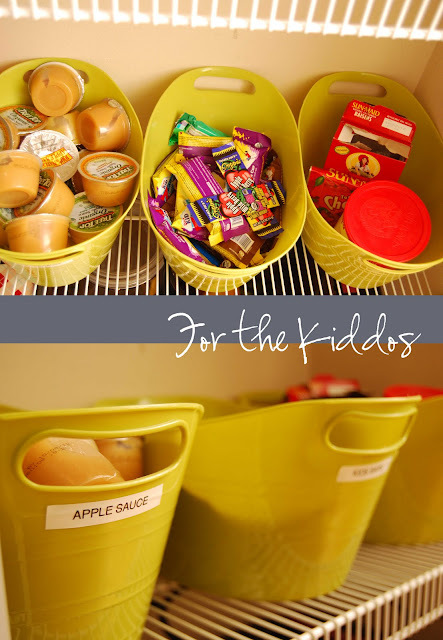 And since these delightful buckets come in a range of colors - depending on the season - here are a few more for the kiddos snacks at home. 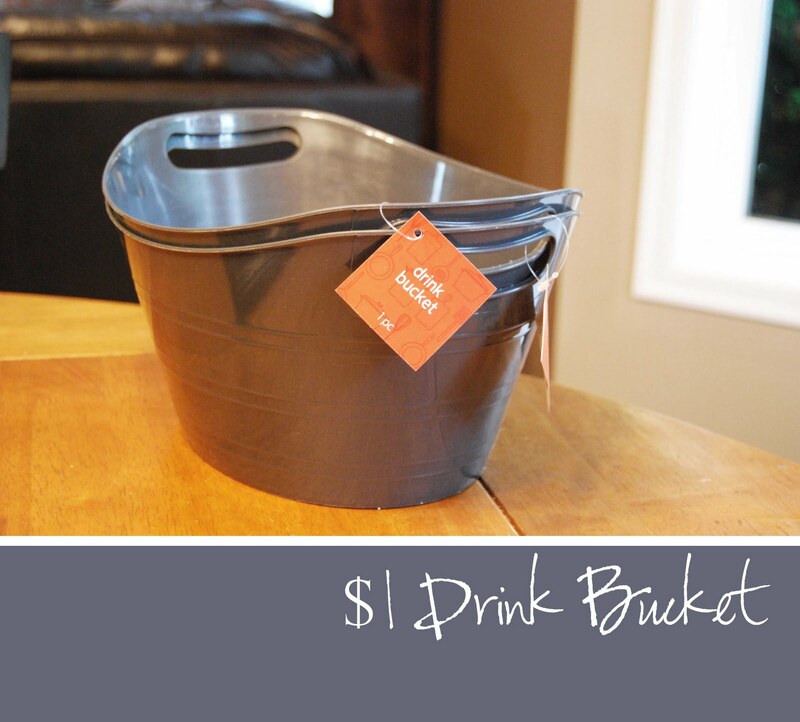 So next time you stroll by these lovely $1 buckets, pick a few up. And I bet you $$$ you can find all sorts of things to organize! I LIKE it! Great idea, Chelsea. The place we are moving to has a pantry like yours and I'll bet that would make for great storage for all those little type things. It would also be great for separating my gluten free stuff from the "regular" food. 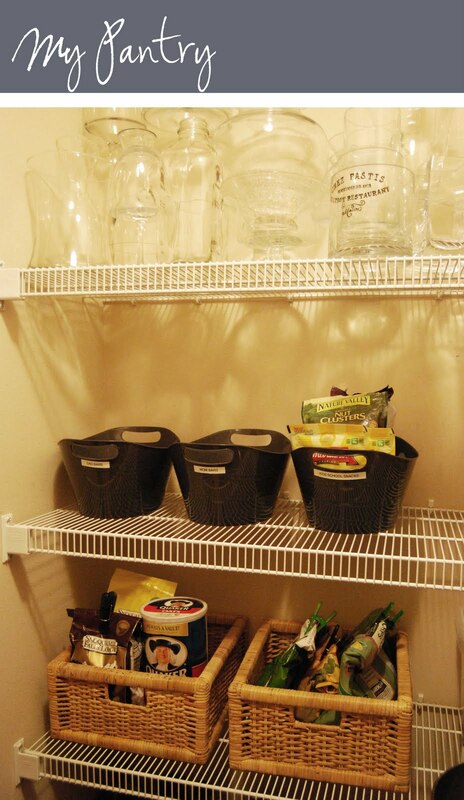 I so wish I had a pantry cause this is exactly how I'd be organizing it (Ikea baskets too :))but I probably could still squeeze 2 of these in my cupboard to separate the boys's snacks from the girl's snacks...great idea. Love that use! I bought a bunch too because I know I'll find places for them - probably in my son's room for little cars, trains, etc. Wish I had room in my pantry! These will be GREAT to use to have at my son's first birthday party as a way to have drinks ready for pickup anywhere you go. LOVE them! I'm going to look today. I wondering if they have them in red.